FUEL INJECTOR SEAL KIT. GENUINE VOLKSWAGEN / AUDI. VOLKSWAGEN CORRADO 1989 >> 1995. VOLKSWAGEN GOLF 1987 >> 1998. VOLKSWAGEN GOLF CABRIOLET 1984 >> 2002. VOLKSWAGEN GOLF VARIANT 1995 >> 1999. VOLKSWAGEN JETTA 1987 >> 1992. For 1.9 TDI / PD Engines. Genuine Audi / Volkswagen Diesel Engine Wiring Loom. Genuine Fuel Injector Seal Kit 06H998907A For Audi VW Golf Jetta Passat Tiguan. Condition is New. Dispatched with Royal Mail 1st Class Large Letter. This is a set of 8 M6 x 88mm fuel injector bolts for the 163 / 170 bhp engines for the following cars This is a new, genuine part. Part number. Alternative part number(s). Jetta 2006 - 2011. Leon 2006 - 2009. FOR SALE IS A USED BUT GOOD USABLE CONDITION DECELARATION CUT OF VALVE TO FIT A VW GOLF MK2 GTI OR CORRADO FITTED WITH THE 1.8 16V KR ENGINE. We are Breaking a 2010 Volkswagen Polo SEL TDI 6R Mk5 (Pre-Facelift). 1.6L (1598cc) Diesel 90Bhp 3Door Hatchback 5 Speed Manual RHDAir Con: Yes. Paint Colour. Removed from the car below but may fit other models/years. DELPHI: 28370681. OEM: 04L130277D. DELPHI FUEL INJECTOR. Fuel Rail Sensors. Fuel Pump Valves & Sensors. Fuel Pump Solenoids. Fuel Filler Flap and Housing. Fuel Injection. 037133035C 037 133 035C. Golf MK3 2.0 16v ABF. Passat B4 2.0 16v ABF. ABF engines as fitted to various models across VW and Seat. Corrado 2.0 ADY. This is a fuel rail pressure regulator for the following cars. Golf MK2 / Jetta 1.8 8v upto 1989 and 1.8 16v KR. Scirocco MK2 k-jetronic. This is aSET OF 4 Injector Inserts for theK-jetronic 8v / 16v and Audi 5 cylinder engines as fitted to the following Corrado 1.8 16v KR. VW TIGUAN 5N 2.0TDI. VW TIGUAN SPORT 4M 2010 2.0TDI 170HP. FUEL INJECTOR RAIL CONNECTORS / LEAK OFF PIPE. ENGINE CODE - CBBB. FOR SALE IS A USED BUT GOOD CONDITION TESTED AND WORKING AND UNBROKEN FUEL INJECTOR RAIL FROM A 1999 VW POLO 1.0. THE CAR WAS FITTED WITH THE AER ENGINE. PART NUMBER IS 030 133 319 L.
03G198051A - 03G 198 051A. This is a PD injector gasket / seal kit for a wide range of VW, Audi, Skoda and Seat 2.0 TDi 16v PD 136 / 140 bhp engines. This is a new,genuine Audi part. This is a new,genuine part. FOR SALE IS A USED BUT GOOD USABLE CONDITION FUEL INJECTOR TO FIT A MK1 GOLF MK1 MK2 SCIROCCO 1.6 GTI WITH THE K-JET INJECTION. PART NUMBER IS 049 133 551. Part Number: 079906036T. This injector can be used as an upgrade on the EA113 2.0T motor, if you're running BIG power! 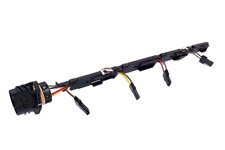 These injectors have a different plug/connector, so we include a new connector and a short length of wire with each one - you will need to wire these in to your existing harness if you wan to use them on your EA113 2.0T. Part No: 03L130216. If not we will still be able to help get the correct part for you. This part is a multi-fit part. It will fit many makes and models. PART NUMBER : 0445010533 / 03L130755AB. ENGINE CODE : CKT. INJECTOR PUMP. MANUFACTURER : BOSCH. ENGINE SIZE : 2.0 DIESEL. Our site is spread over 5 acres consisting of a reception area, two large storage buildings, de-pollutions bay, vehicle racking facility, in house crushing/bailing zone. 038198051C - 038198051C. This is fitted across a wide range of VW, Audi, Skoda and Seat cars and vans. This is aSINGLE Diesel Pump Injector Seal Kit for Most 1.9 & 2.0 4 cylinder Tdi Engines. This is a new,genuine VW part. REMOVED FROM A RUNNING LOW MILEAGE 2010 VOLKSWAGEN POLO 1.2 CGPB 5 DOOR. Volkswagen Tiguan - 2016>. Volkswagen Tiguan Allspace - 2018>. Volkswagen Passat - 2015>. Volkswagen Arteon - 2017>. Volkswagen Amarok - 2010>. Volkswagen Arteon - 2017>. Volkswagen Beetle - 2012>. Volkswagen Beetle Cab - 2013>. Volkswagen Caddy - 2016>. Volkswagen CC - 2012>2017. Volkswagen Crafter - 2012>2016. Volkswagen Golf Cab - 2012>2016. COMPATIBLE VEHICLES: VW TRANSPORTER T4 -. 1996 TO 2004. We are also not responsible for installation errors, labour expenses, or any other expenses that may occur. • Safe and Secure Ordering System. • Quick Dispatch. B5 1.9 Diesel 5 Speed Estate. Fuel pipes from the pump to the injectors 1 to 4 - In good condition. Injection Rail. This part was removed from a Right Hand Drive Vehicle. Compatibility is a guide only. 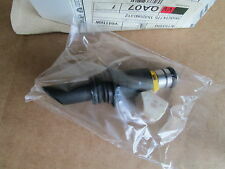 2006 VW VOLKSWAGEN PASSAT (B6) 1.9 DIESEL TDI PD105 (BKC) BOSCH DIESEL FUEL INJECTOR PART NUMBER 0414720215. THIS ITEM IS A USED VOLKSWAGEN PASSAT 1.9 DIESEL TDI PD105 BKC BOSCH FUEL INJECTOR. REMOVED FROM A 2006 VOLKSWAGEN PASSAT TDI SE. 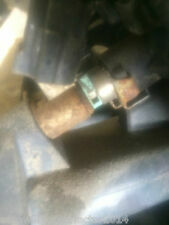 FOR SALE IS A USED BUT GOOD USABLE CONDITION COLD START INJECTOR REMOVED FROM A B3 PASSAT FITTED WITH A 2.0 8V '2E' ENGINE. PART NUMBER IS 023 906 171. Removed from a 2010 (2009 On range) Volkswagen Golf (mk6) GT 2.0 Diesel 6 Speed Manual 5 Door Hatchback. Golf (mk6) 2009 On. Volkswagen Golf 2.0 Diesel Injector. Gaskets & oil seals are not covered. Title to the goods shall remain with SYNETIQ Ltd. (until paid for in full). LISTED TO FIT VW GOLF MK4 & BORA PETROL ENGINE MODELS 1998 > 2005 WITH ENGINE CODES 'AVU"BFQ', VW BEETLE MODELS 1999 > 2010 WITH ENGINE CODES 'AYD"BFS'. AUDI A3 MODELS 1997 > 2003 WITH ENGINE CODES 'AVU"BFQ'. Other Details: Mk4 (9N3) 03-09 Year 1.4 BKY 036133320. 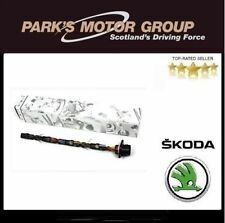 VOLKSWAGEN POLO Injection Rail 0000338485. AB30-38, AB44-56, FK17-99, G83, IV1-28, IV30-39, IV52-54, IV63, KW1-14, PA21-33, PA34-40, PH18-26, PH30, PH31-41, PH49-50. Skoda karoq BJ. Skoda Kodiaq BJ. Skoda Octavia III 2013-2018. Skoda rapid 2013-2018. Skoda Superb III BJ. Skoda Yeti BJ. FUEL INJECTION RAIL. VW Touran II BJ. This is a fuel injector fuel rail for the 1.4 petrol engines for the following cars Polo 2002 - 2009 . This is a new,genuine Volkswagen part. Important - We want you to get the right part for your car. This is a new,genuine VW part. Alternative part number(s). This is a High Pressure Fuel Sensor for Various V6 & V8 Engine Combinations. This is fitted across a wide range of VW, Audi, Skoda and Seat cars and vans. This is a new,genuine Volkswagen part. for the following cars.